Electa Amator III is the achievement of a 30-year journey. The third generation of an iconic product generated by an expression of natural evolution, withholding the elements that make us unique: precious materials, high craftsmanship and natural sound. The cabinet harmoniously combines; solid walnut wood that becomes an integral body with the Carrara marble base, through a brass insert that illuminates the lines and enhances each material. 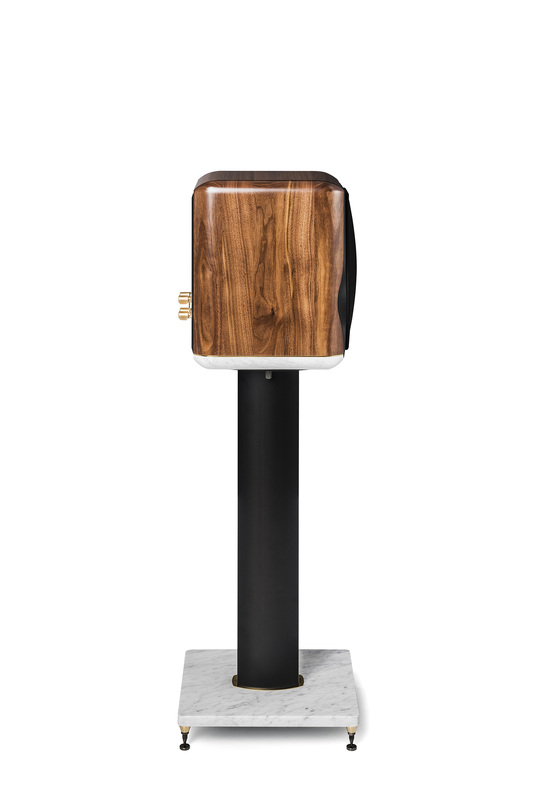 The combination is a recurring characteristic of Sonus faber creations derived from our designers’ will to allow the most heterogeneous mechanical behavior possible from each product, for the benefit of the naturalness of the sound. 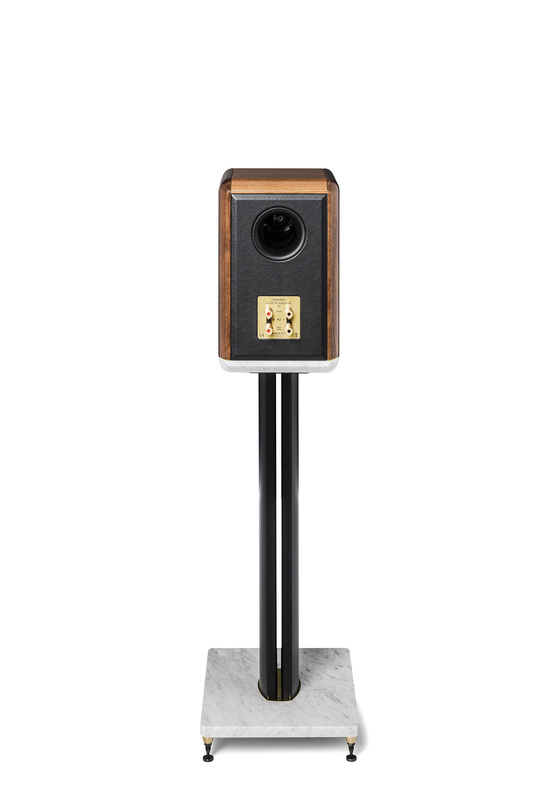 Hand-applied leather envelopes the rear panel and front baffle which houses the Voice of Sonus faber while dedicated black anodized aluminum columns, filled with damping material and mounted on a Carrara marble base, provide loudspeaker support. 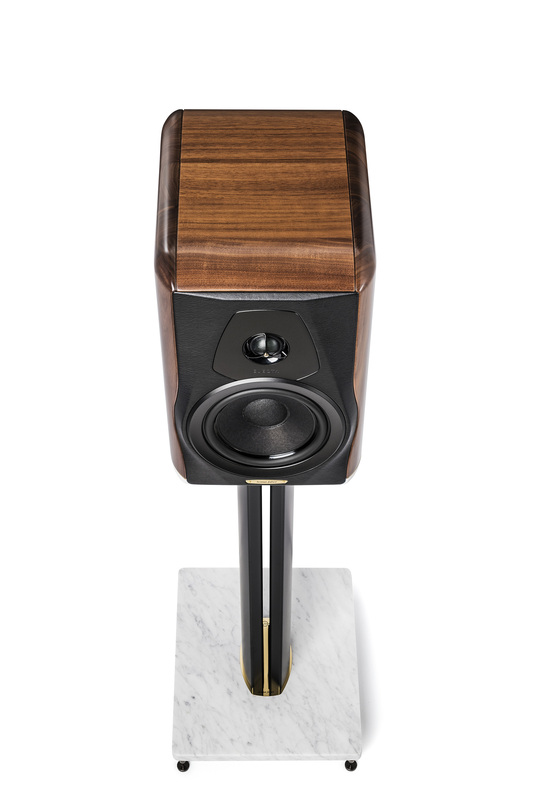 Aluminum and marble are separated by a thin brass sheet, consistent with the speaker cabinet. 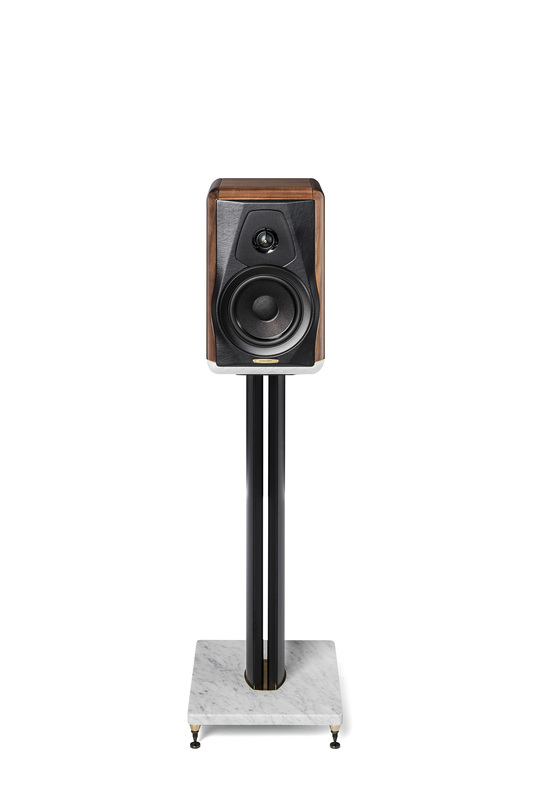 A 6.5 inches mid-woofer specifically developed for this special project.